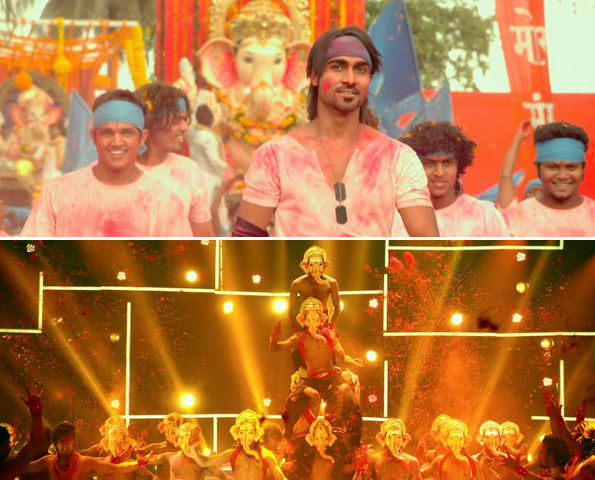 Prabhudeva starring ABCD has plenty of movie and dance moves. 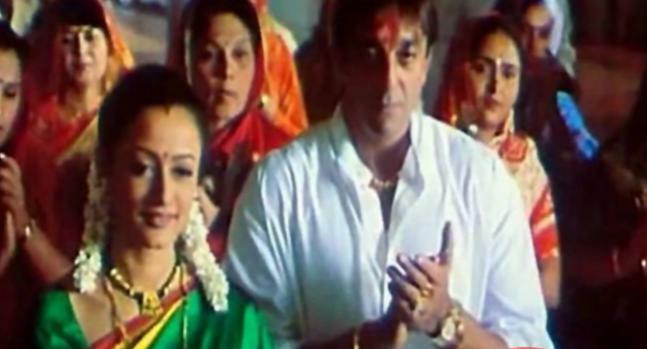 The movie has also shots and scenes singing praises of Lord Ganesh. 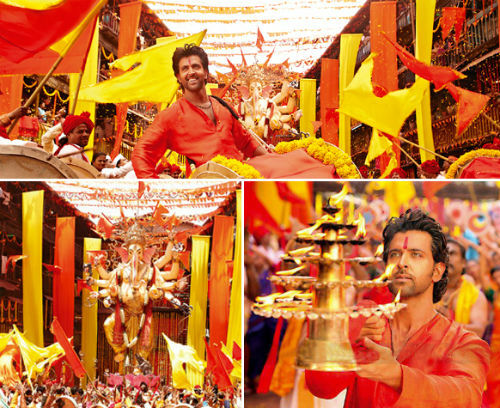 Hrithik Roshan starrer Agneepath is another blockbuster that shows the protagonist chanting 'Deva Shree Ganesha'. 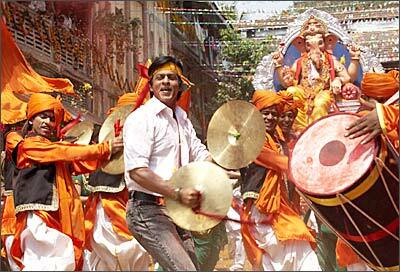 Remake of Big B starrer Don is another hit that celebrates Ganesh Chaturthi in song starring SRK.